Tamil Nadu Governor Vidyasagar Rao, on Saturday, promulgated the ordinance for conducting Jallikattu. 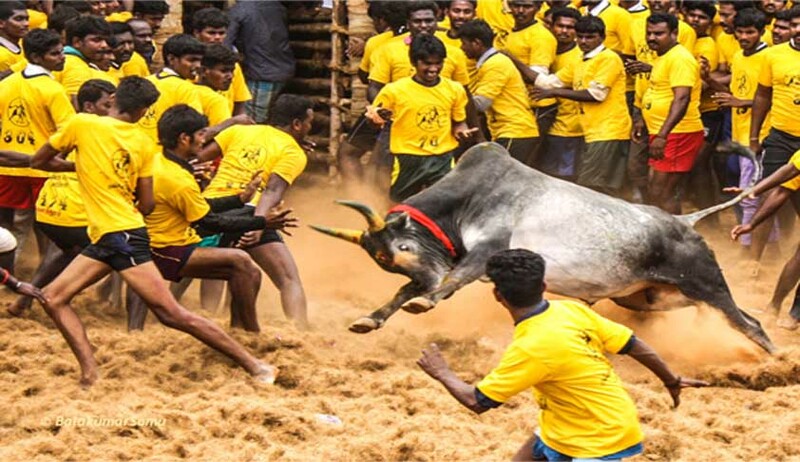 In its attempt to tame the bulls of passion favouring the Jallikattu, the Tamil Nadu Government had proposed to bring in an ordinance to allow the age-old bull-taming sport Jallikattu after a three-year ban. Apparently, the ordinance, which already got clearance from the Tamil Nadu Governor, has been brought in with a view to ensuring “survival and well-being of the native breed of bulls and preserving cultural traditions of Tamil Nadu.” It is basically an amendment to the Prevention of Cruelty to Animals Act, 1960. The Apex Court in 2014, had banned the bull taming sport in Tamil Nadu observing that the rights guaranteed to the Bulls under Sections 3 and 11 of Prevention of Cruelty to Animals Act read with Articles 51A(g) & (h) are cannot be taken away or curtailed, except under Sections 11(3) and 28 of PCA Act. Last November, it had also rejected the review plea preferred by the State observing that there is no ground for review. Two days, ago, the Supreme Court, on the request by the Attorney General, had agreed not to pass judgment on a batch of petitions challenging the Centre’s notification allowing Jallikattu, for a week on the contentious Jallikattu issue. The AG had submitted before the Court that the Central Government were in talks with Tamil Nadu to find a way out to resolve the issue.